Since Fermi’s first conversation with fellow scientists in 1950, the Fermi Paradox has haunted astrobiologists and astronomers with its giant, looming question mark: Where is everybody? Dozens of hypotheses have been proposed to answer that seemingly simple question, ranging from pessimistic (all the aliens are dead) to practical (they’re all living in ocean worlds beneath thick layers of ice) to apocalyptic (there’s one ‘Big Bad’ alien civilization that’s systematically wiping out all the others). The idea is that the first civilization to attain interstellar travel would start gobbling up as many resources as it could to drive its own expansion and ensure a future for itself. This would eventually cause it to start stripping worlds that already have life on them, leading it to destroy alien civilizations as it went. “I am not suggesting that a highly developed civilization would consciously wipe out other lifeforms,” Berezin says. All right, so this is pretty much the ‘Big Bad Alien Civilization’ hypothesis, but with some economic reasoning behind it, right? No, actually—it’s the Big Bad Human Civilization hypothesis. 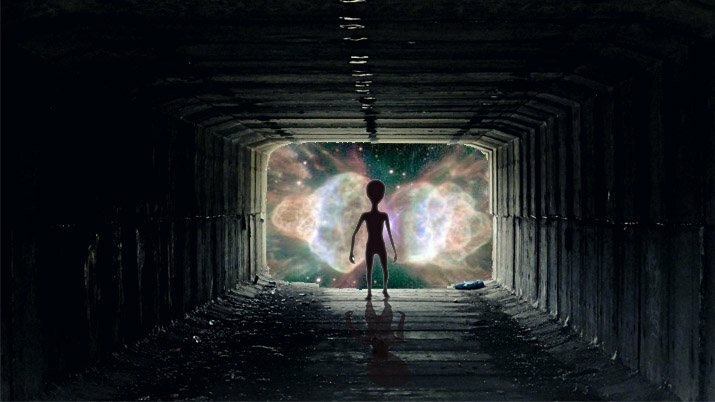 Berezin believes the answer to the Fermi Paradox, the reason we haven’t picked up on alien signals or observed evidence of this steamroller alien civilization, is because we’re the first ones to have made it this far. With Berezin’s logic in mind, we’re also going to be the first civilization to attain interstellar space travel, and our expansion beyond the solar system is going to inevitably wipe out alien life on other plants. That future, it appears, is utter loneliness.